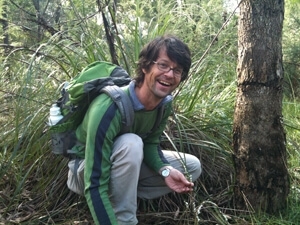 I am an ecologist working mainly with plants. My research focusses on gathering and organising knowledge for ecological management of rural landscapes, on generalising ecological knowledge so as to facilitate availability of knowledge, and interactions between plants and animals. I aim to bridge the gap between field ecology and modelling. Recent emphasis has been on vegetation dynamics under human-influenced disturbance regimes. Current priorities include: projecting and optimizing the biodiversity benefits of ecosystem management activities in rural landscapes; understanding woody plant population dynamics to aid restoration and management decisions.